Hi my name is Adam i first started out as a young D.j. in West Germany i was one of the youngest D.j.`s in Germany i started out performing for dances every weekend for teenagers all over Germany, i was a military brat that traveled across the world well i also did house parties etc. 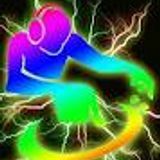 now i`m more into production my production is called Divine Remix Productions check my remixes out at the links below.